For chefs, Mark LaBrooy and Darren Robertson, food is not only something to enjoy, but it’s also a way to nourish your body. In short, eating is a way of life. 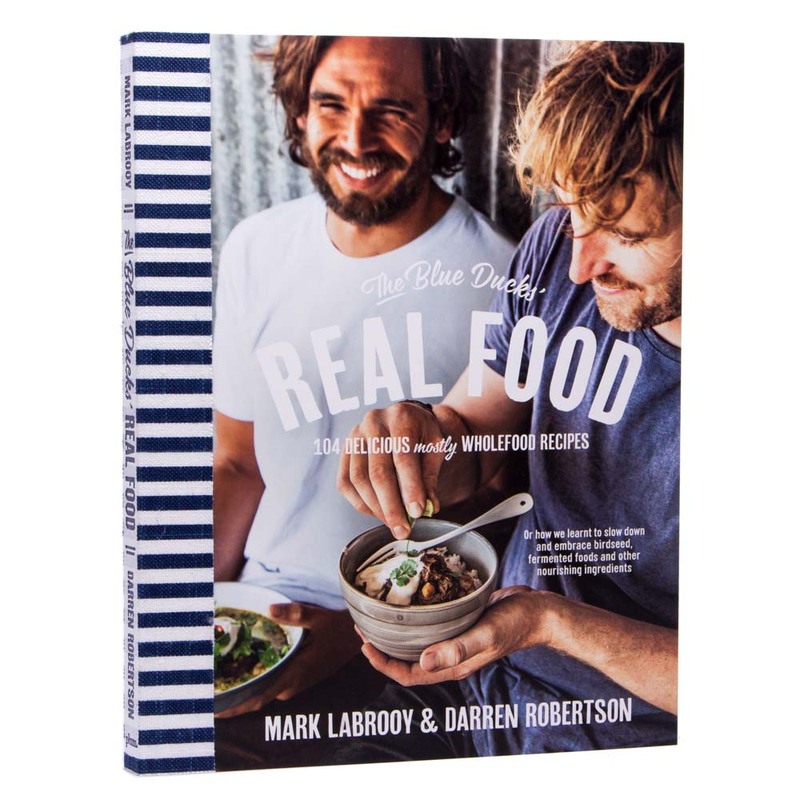 In Blue Ducks’ Real Food Mark and Darren slow down and introduce readers to nutritious ingredients, such as humanely raised meat, sustainable seafood, fresh vegetables and whole grains, nuts and more, and show you that healthy food can be delicious. With recipes for Spicy Thai Beef Salad, Egg Hoppers, Barbecued Prawns with Charred Kale and Avocado Puree, Miso-Caramel Baked Apple and more to inspire readers, this wonderful cookbook features full colour photography throughout and step-by-step instructions that even most novice cooks can master. Throw away your fast food menu, and embrace your time in the kitchen with Blue Ducks’ Real Food. Your cooking is about to get real! Written by Mark LaBrooy and Darren Robetson. Includes 140 delicious wholefood recipes with step-by-step instructions. Recipes divided into chapters – Salads and Veggies, Grains, Nuts and Seeds, Curry and Spice and more.